On this intensive workshop with Ya’Akov Darling Khan, the focus of our work will be Re-Creation, which is one of the underlying principles of Movement Medicine practice. Re-Creation is the capacity to take the circumstances of our lives and to recreate our relationship to them. From being the victim of life’s events, you can learn to dance with them. 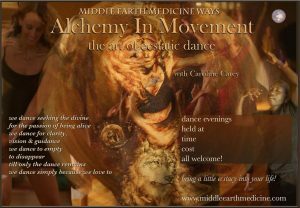 On the journey, you will work with the ‘holy trinity’ of the Dancing Warrior, the Wise Elder and the Fool – the three core archetypal energies we work with for becoming our own healer and committing to the journey of healing the past. In shamanic practice, the past is a storehouse of potential energy that we can unlock to support us to be here much more fully and engage in the creative project of bringing our dreams to earth. time to integrate and complete. This will be an intense journey. To support us to go as deep as we can, you will be given preparation tasks before you arrive. The workshop is open to all who feel ready. 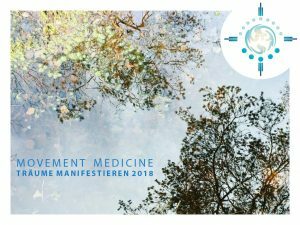 All participants are asked to read Susannah & Ya’Acov’s book, Movement Medicine – How to Awaken, Dance and Live your Dreams, as preparation for the workshop. Come home to your own heart. Take time to honour the journey of your heart. Allow this dreaming heart to open new pathways of possibility in your life. This heart has, most probably, been broken… maybe many times. This is an opportunity, at the beginning of the year, to honour the journey your heart has taken in this life and to listen to its teachings. How to meet these challenging times in presence of an open heart? How do we stay grounded and at home in the face of what is within and in the world? David is a fully qualified and practicing psychotherapist, he integrates these skills and his passion for shamanic pathways into his work as a qualified Movement Medicine Teacher in Ireland and throughout Europe. Whether you are a seasoned dancer or newcomer you will come away with a tool kit of practical and subtle exercises relevant for meeting the challenges of walking this life in these times. information gathered into your own medicine bag. a home close to your heart. container or oracle and understand the potency of what it is and what it carries. consciousness in the ‘singing sense’ allow the songs to sing us. inside you and in the face you show to the world. For men and women any age or experience. – Recognise the power you have to embody your dreams. Katrin will provide you with careful and specific guidance so that you can discover the aliveness and creativity of the dancer inside. This dancer has an innate ability to see, connect and work with the big picture of our lives. No matter your age, shape or background, this dancer is just waiting for your permission to Move! and remind you of what you already know. No registration in advance – just come along! If you are coming to the MANIFESTING DREAMS Workshop – the MOVE-EVENING is INCLUDED in the prize. Whether you chose to realize long-cherished wishes step by step, or receive inspiration and vision from the aliveness of the moment, THIS DAY SUPPORTS YOU BRINGING YOUR DREAMS TO LIFE! Conscious movement opens your awareness and allows you to perceive deeper insights and connections. You begin to embody what you want to live and become, feeling it with all your senses. The safety and intelligence of the group will support you to break your dreams down into doable small steps, ready to be walked. An enjoyable day to honour and celebrate your clear vision, creative life-force and intelligence of body heart mind in alignment. 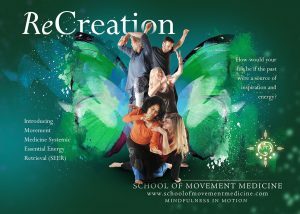 MOVEMENT MEDICINE is a body-based conscious Movement Meditation, connecting you with the deeper wisdom of your heart, with the joy of knowing who you truly are and the fulfilment of your unique contribution in this life. No previous experience necessary just a joy for movement. In a safely and lovingly held space, we will experiment with conscious movement and experience deep connection and honest exchange. Prize includes the MOVE-EVENING Friday 19th of January 7.30 – 22 pm. Caroline will provide you with careful and specific guidance so that you can discover the aliveness and creativity of the dancer inside. This dancer has an innate ability to see, connect and work with the big picture of our lives. No matter your age, shape or background, this dancer is just waiting for your permission to Move! and remind you of what you already know. We are the ancestors of the future. How would WE like to be remembered? The elements are our oldest ancestors. Carrying the wisdom of aeons, they are our teachers and guides. 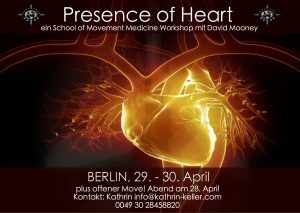 In this workshop, you will have the opportunity to connect with the spirit of each of these elements through focused Movement Medicine practice, asking for support from the earth, creative energy from the fire, deep cleansing from the waters of life and connection to spirit through the element of air. Having re-established your connection with these elemental forces, you will then have the opportunity to tune into your human ancestral line. 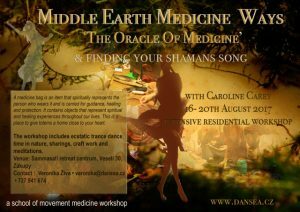 Drawing on years of shamanic practice and life experience, Caroline Carey will gently guide you through a powerful constellation process to heal your ancestral line. Through this process you will be able to free yourself from the out-dated patterns of behaviour that are holding you back, plant the seeds of more life-affirming ways of being in the world, and drink from the most powerful heart medicine of all – forgiveness. 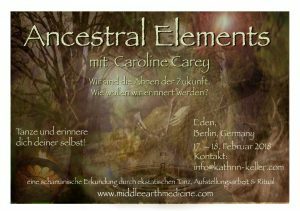 I book the Ancestral Elements Workshop (Sat & Sun: 190 Euro).I book the Ancestral Elements Workshop plus open Friday night (Fri, Sat, Sun: 200 Euro). You find our bookinf conditions here. Silvana will provide you with careful and specific guidance so that you can discover the aliveness and creativity of the dancer inside. This dancer has an innate ability to see, connect and work with the big picture of our lives. No matter your age, shape or background, this dancer is just waiting for your permission to Move! and remind you of what you already know. No registration in advance – come as you are! Susannah will provide you with careful and specific guidance so that you can discover the aliveness and creativity of the dancer inside. This dancer has an innate ability to see, connect and work with the big picture of our lives. No matter your age, shape or background, this dancer is just waiting for your permission to Move! and remind you of what you already know. Movement Medicine is the result of Susannah and Ya’Acov Darling Khan’s 30+ years of study and practice. It is a contemporary integration of several strands of wisdom both ancient and modern. 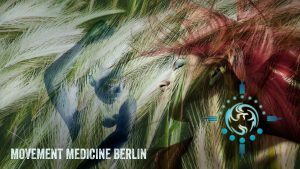 It brings together shamanic, psychotherapeutic, neuro-scientific and conscious dance into a model of who we can be as empowered, creative and effective human beings in the 21st Century. Having witnessed the positive impact of long-term Movement Medicine practice on our apprentices, we have refined these practices into the Re-Source Life Lab to make them more available. Life Lab is open to everyone, regardless of previous experience. Come and find out more about who you are and what you are capable of. Take your place in this empowering learning community and experience the direct positive effects Movement Medicine can have in your day-to-day life. You are welcome! 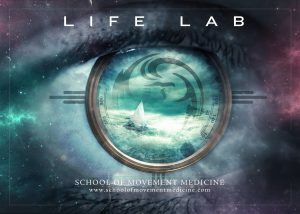 I book Life Lab at early-bird conditions (if paid by 5th of August: 175 Euro).I book the Life Lab Workshop (Sat & Sun: 190 Euro).I book the Life Lab Workshop plus open Friday night (Fri, Sat, Sun: 200 Euro). Wie wäre es, sinnlicher und körperlicher und aus vollem Herzen zu leben, verbunden mit den vielen unterschiedlichen Aspekten Deines Frau-Seins? Wie wäre es einzusinken in all das, was bereit ist aus Dir zu strahlen und zu erblühen? KATHRIN KELLER Jg. 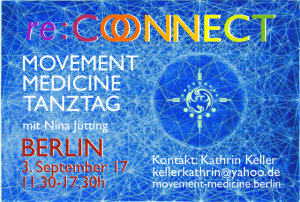 1977 Diplom-Psychologin, Atem-, Klang- und Hypnotherapeutin in eigener Praxis in Berlin, Gesundheits- und Entspannungs-Trainerin, Movement Medicine Lehrerin in Ausbildung. Sie hat von Schamanen und Medizin-Frauen weltweit gelernt und unterrichtet bundesweit für unterschiedliche Institute. Loss and the grief that brings are, it seems, an intrinsic part of our ability to love. Although grief can be painful we can also experience in it an incredible sense of celebration and life in our love for what we have lost.This workshop is an opportunity to do just that, to allow the heartbreak alongside the joy and life force in the grief we hold individually and collectively. We will dance to fully arrive in our bodies, awakening our ability to move with and through whatever is living in our grief. Giving ourselves over to the surrender grief calls for, making space for the desolation grief brings, dancing with it to find the creativity and the life waiting to grow from the ashes of our loss. 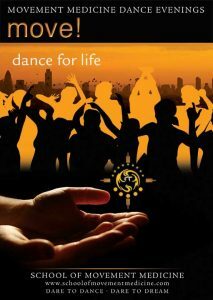 Our dance will be supported and consolidated with creative expression and reflection. Grief comes in many shapes and sizes, it knows no boundaries and does not compare, it simply exists as part of our precious humanity. Whatever your connection to grief, be it personal loss, heartbreak for the world, cultural or inherited grief, or a simple curiosity you are very welcome at this weekend. This workshop is born out of Rosie’s experience of living with, and learning from grief. FULLY BOOKED! Places on waiting list available. I would like to be on the waiting list. Booking conditions can be found on our contact page.